In on the Kill Taker is like scrubbing your face with steel wool. It finds the band relying on rusty guitar shards that scrape, seethe, and hiss, further removing itself from the sound of 13 Songs and Repeater. Harsh and grating, Fugazi surprisingly produces sheer noise at times, best witnessed in the lengthy closing of "23 Beats Off" and the unintentional Gremlins homage that opens "Walken's Syndrome." Joe Lally's bass and Brendan Canty's drums are relegated to acting as a guide; they're pushed - but not squashed - down in the mix, allowing for Ian MacKaye and Guy Picciotto's guitars to take control, corrosively so. It's probably Fugazi's least digestible record from front to back, but each track has it's own attractive qualities, even if not immediately perceptible. "Facet Squared" and "Public Witness Program" open the record furiously, but the majority of the following "Return the Screw" is hardly audible, aside from occasional vocal tantrums. A good amount of time is spent alternating between low-key guitar noodling and intrusive bursts of aggression. They're smart with their sequencing, placing the gentle instrumental "Sweet and Low" (the only track where Lally plays a prominent role) after the exhaustive cacophony of "23 Beats Off," and generally piecing together a set of rather diverse tracks that flows well. Picciotto's anti-Hollywood rant on the properly titled "Cassavetes" is a classic Fugazi moment, as is his similarly name-dropping "Walken's Syndrome." Buried at the end of the record are two excellent lurchers, MacKaye's "Instrument" and Picciotto's "Last Chance for a Slow Dance." 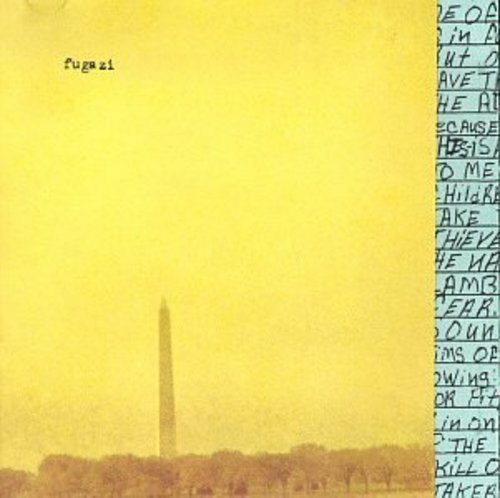 Not Fugazi's finest hour, but one of it's most daring and rewarding. If you have any questions about this product by Dischord, contact us by completing and submitting the form below. If you are looking for a specif part number, please include it with your message.